Hello to all students of the Japanese language! I hope you are doing well and giving it your best to learn this language while wearing a "hachimaki" headband. We are here to discuss, albeit in a short way (does that means it is not a discussion anymore? ), the Japanese language and it's pronunciation. For those who find it difficult to pronounce this language and even when they do, they have a strong note of their mother tongue, should seriously consider in putting more effort into mastering the sounds of this particular language. Even having said the hefty word "effort" which is what that headband should provide you with (supposedly), it is not that difficult to learn the correct way of saying things. Failure to say it correctly could lead you into "I want to become an ostrich" level of embarrassment and into a flurry of misunderstandings. This includes, but is not limited to, asking for a certain product at the shop and the old lady who runs it looks up at you and scuttles to the back, through the dingy door, never to be seen again. That is the experience of a certain someone. While I am not here to save you from such embarrassments, as I prefer the students to look back at this awkward moment in their life and blush into a brilliant plum red (which in my experience helps them improve), I am here to give you some directions. You will make so many mistakes and your head will be filled with "did I use the correct particle", that I think you should just forget about making it perfect and try to do the things you can in a correct manner. I think I have softened you enough for the lesson ahead. Let's get started. Japanese sounds are composed of syllables, unlike English. They are mostly composed of the base of row 1 and added to them are the different sounds like "ki, ku" etc. Laid out below are all the possible syllables in Japanese. These syllables can be used to produce other sounds as well. The Nigori makes them into the alternate pronunciation. These are mentioned below the primary ones if you would kindly refer to the chart. There is also another mark called maru or hanadaku which is solely used for Row 6. It turns it into "p" sound. Column 1 “a” is pronounced as a in alas. A-las. Column 2 “I” is pronounced as y as in yield. Column 3 “u” is said like could. Column 4 “e” is like set, get. Without the t, this would sound like Row 4; Col 4 and Row 2; Col 4. Column 4 sounds like coal. Remember that these are approximations. That means you have to get in their, have a conversation, get some embarrassing memories about saying it all wrong and learn it all by yourself. I am just acting like those dodgy tour guides, they can't cover everything. The nigori mark on column 2 makes it into ga, gi, gu etc. The g sound in ga is like ga in garbage. Gu as in the German Guten Tac. Go as in gondola. Venice has nothing to do here. The sa>za, here you pronounce it like sa but use z in it. Ha turned into ba is said as bus. Pi as in Peter. Vowel combination is extensive in Japanese language. The use of different vowels in a word can make different pronunciation. This itself is narrated by the existing pronunciation of those syllables. A+I = Ai. This can mean many things in Japanese depending on the kanji used or the context of the sentence or the conversation. Most say it is the word for love but I am not that optimistic. Ka + u = kau, means to buy. This is a single kanji. This is in its plain form. All verbs are in plain form in a dictionary. Don't struggle with the plain form as it is pretty plain. Double Consonants and Stress mark. The small tsu (yes, there is a big tsu and a small tsu) indicates that you need to stress the next syllable. 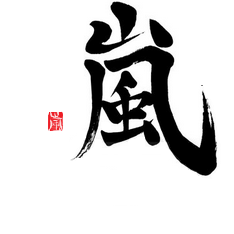 KATA, means shoulder and also means a half a dozen of other things. While, KA.t.Ta means win. Observant students might have realized that this is in the plain past. Double vowels are important as well. You just need to stress a vowel twice. Those on Row 8 are used with R4.C2 to say “sha”, “shu”, “sho”. Sha as in shame. Shu as in shooter. Sho as in shoulder. They are also used with the vowels in all other Rows and columns, excpet for R10. Byouin menaing hospital while Biyouin means a beauty salon. Here the word byou is as you would suspect a combination of bi, yo and u. Note that in writing it uses the small yo which indicates a merge in the way you pronounce while in Biyouin there is no small yo used so the word has independent parts and independent kanji. So unless you don't want to end up at a hair dresser, pronounce your words correctly. Wa is used just like any other syllable or vowels. It can also be used with other vowels and syllables. Said like "Wall"
Wo is the accusative particle. Said as "O"
N is pronounced as enter. I just handed you a survival kit. You are well prepared. Now go out there and try the things you learned. I need you to speak fine Japanese. There is no alternative to this. Many have developed the idea that you need to watch anime and drama to get a better grasp of the language and I am happy to say that they are grossly mistaken. The language used in those media are nothing but "pop" culture. You are better off without it. Yes, I hate Nisi o Isin. Although I do like Narita Ryougo... I digress, get your language in shape first. Lastly, try not to think and insert Japanese grammar in an English wire-frame. Meaning, you are trying to think of Japanese while trying to apply the English language sense into it. Most students try do that only to confuse themselves. This becomes a hurdle. You should try to know what you are saying and it's nuances rather than rely on English to explain it to you. I am happy to end it here. This document will be enlarged in the future. I hope you still have your "hachimaki" headband on, you will surely need it. You have essentially just shown the techniques a high school teacher would teach pronunciation. 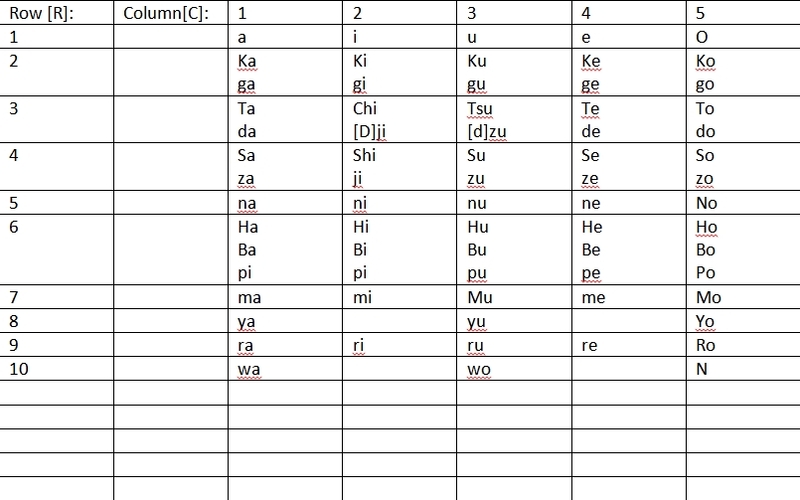 I remember when I learnt it in school that the first thing we did was learn the pronunciation while learning the hiragana table and we would have to recite the table above daily. It was repetitive but it had the effect of drumming in the pronunciation. I think it also helps to know the alphabet and read it in its native form opposed to English characters.